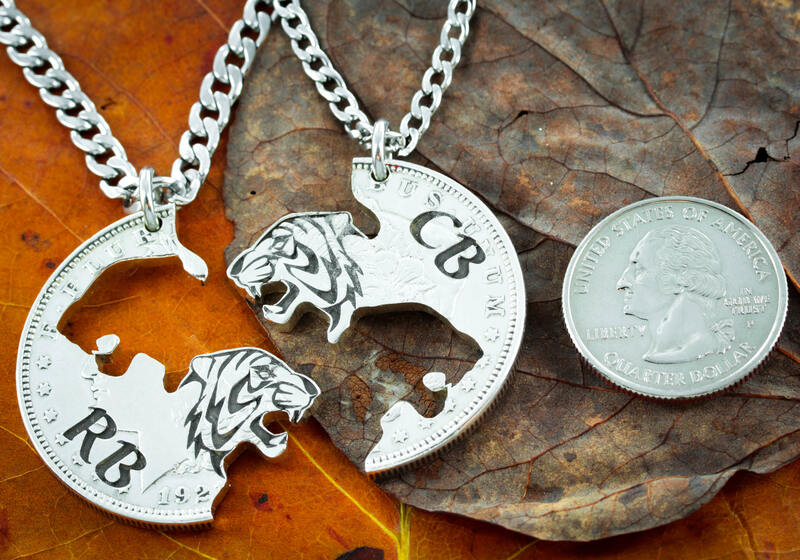 These pendants are made of a silver coin that has been cut into 2 necklaces that each have two tigers that fit perfectly. We have deeply engraved the inside details of the tigers and will also engrave your personal initials. 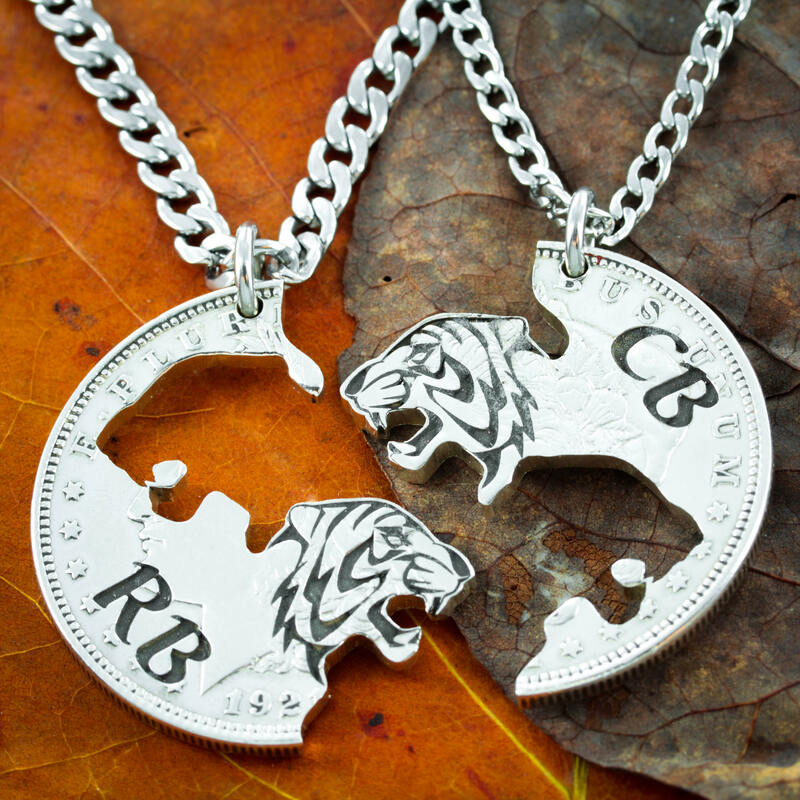 This tiger necklace set interlocks perfectly only with its mate. 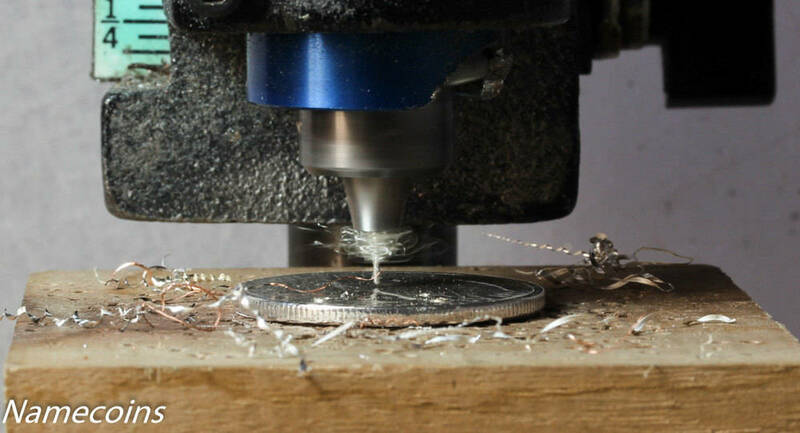 Please let us know in your order comments which initials you would like us to engrave. Whether it will be for a friendship or a couple, our interlocking pieces are a great relationship gift. After all, you have to be close to even put the necklaces together :) They show that you are invested in the relationship and you would like people to view you as a pair. 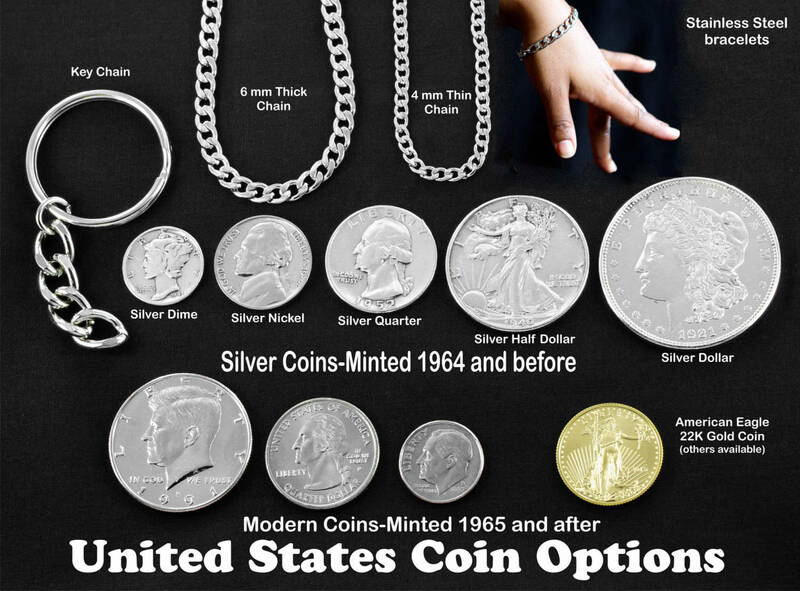 The picture shows the silver dollar option. 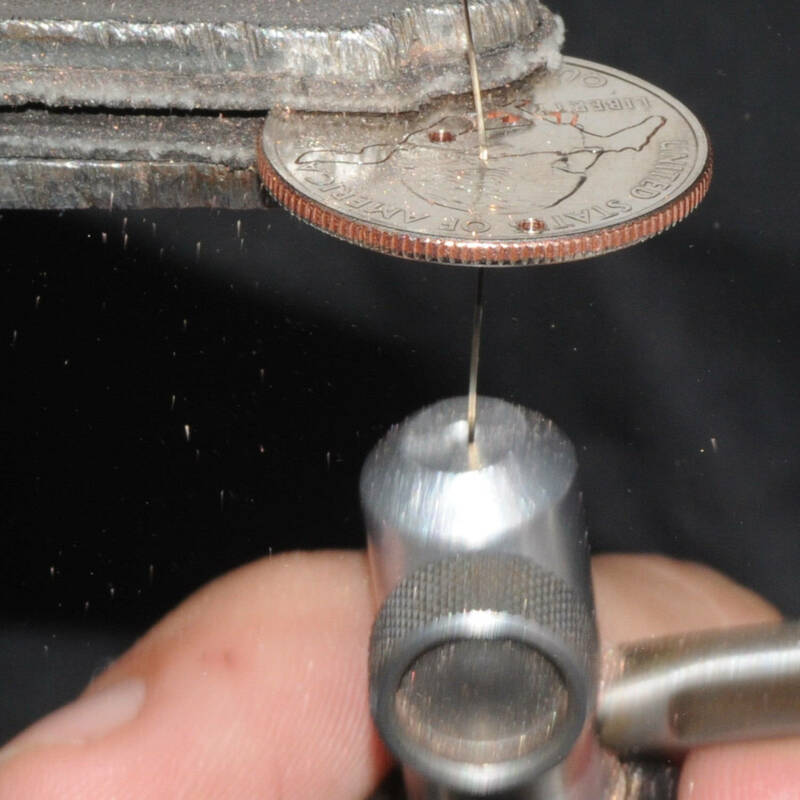 No two are alike because they are all cut individually by hand. The silhouettes of the tigers are cut by hand to interlock. The inside details of the tigers such as the stripes are not cut all the way through. They are engraved deeply in the surface. Your order comes with two strong and smooth stainless steel necklaces or in the options bar you can choose key chains.